The boutique is chock full of new and vintage merchandise, adorable -- and yummy -- treats and Instagrammable environments. Lights, camera, Hello Kitty! 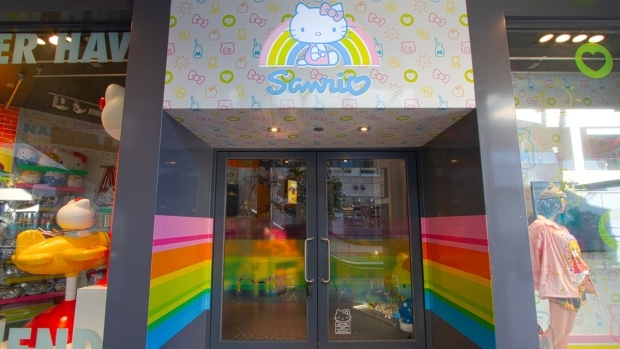 Sanrio just opened its second flagship location in the heart of Hollywood. The boutique is chock full of new and vintage Hello Kitty merchandise, adorable -- and yummy -- treats and photo ops. A Hello Kitty and Friends mural featuring iconic LA landmarks created by Sanrio's design team in Tokyo greets visitors outside the shop located on the second floor of Hollywood & Highland. 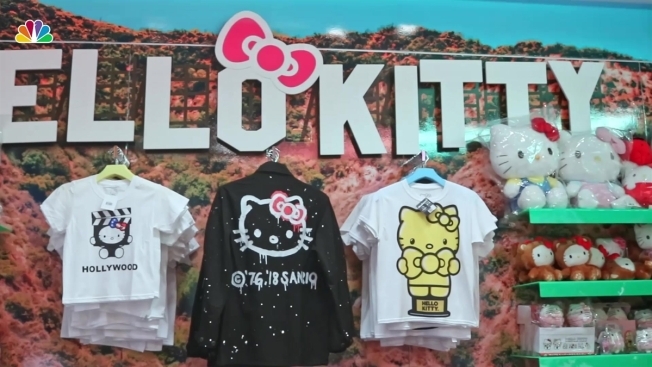 The 3,600-square-foot space features merchandise from Hello Kitty, as well as Gudetama, Aggretsuko, My Melody, Little Twin Stars, Chococat and Keroppi. The shop -- like the company's first flagship in downtown Los Angeles' Japanese Village -- pays homage to Sanrio's Japanese heritage. From a Hello Kitty figurine posing with a cherry blossom, or sakura, to limited edition product imported for the boutique to the Hello Kitty Kawaii Mart installation, the space blends Japanese and American culture. In-store experiences and activations abound. Pose for a photo at Aggretsuko's desk or in the forest of Mariland with My Melody. You can even try your luck at the Hello Kitty claw machine. 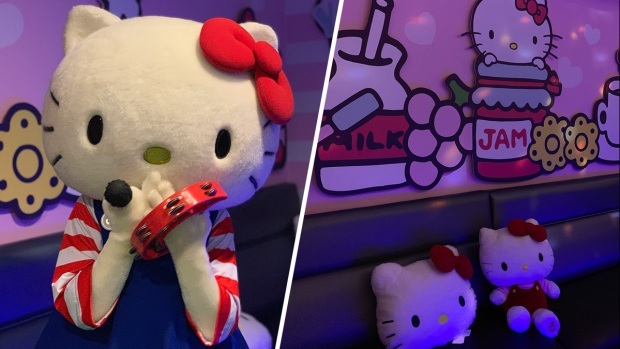 The new location serves as a one-stop shop for Hello Kitty collaborations, too. Japangeles, Herschel, Converse, PBTeen, ProActiv, tokidoki and Kidrobot are some of the brands featured along the standard Sanrio merchandise. The checkout area -- a see-through cube stuffed with Hello Kitty and Friends plushies -- also doubles as an art installation. Hello Kitty Hollywood is open daily Monday through Saturday from 10 a.m. to 10 p.m. and Sundays from 10 a.m- 9 p.m.